Blackboard allows you to download all or select files from your course via Content Collection. 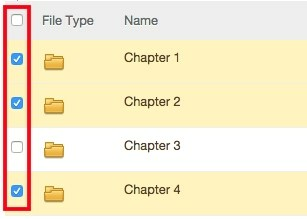 Note that content collection will only display course files and they will appear in one alphabetized list. 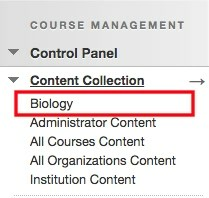 From the Control Panel, click Content Collection, then click the name of your course. Select the checkboxes next to the files/folders you would like to download. Click the Download Package button from the toolbar. A zip file will begin to download with your files.